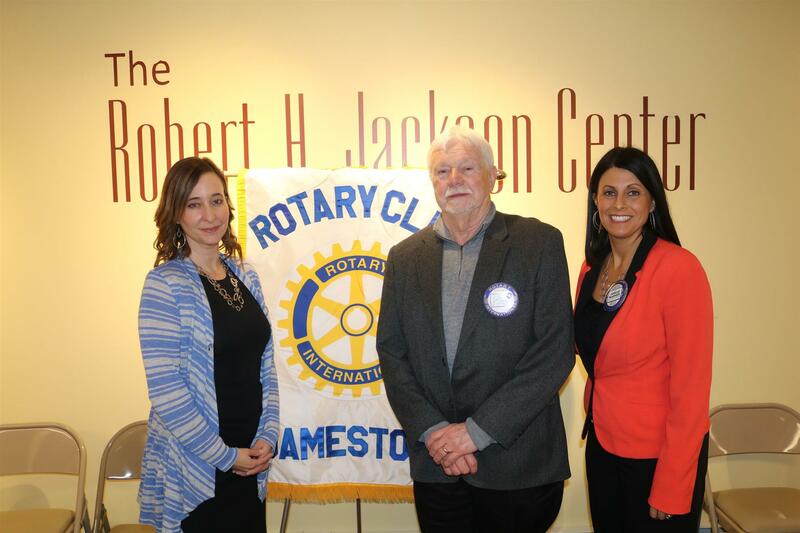 John Lloyd introduced Amy Rohler, Executive Director of the United Way of Southern Chautauqua County and former director of Community Helping Hands. This is the second time Amy has spoken at Rotary. Rotarian Sharon Hamilton has been trying to coax Amy to join Rotary for 8 years! In her previous position, Monday was Amy’s day off, so attending Rotary was not in the cards. Now that she has a more traditional work schedule, she looks forward to joining our club. That’s great news! Amy is very pleased to be at the United Way of Southern Chautauqua County. She is doing a lot and learning a lot at the same time. Amy gave props for a successful $1.365 million-dollar campaign, which was $31,000 over the initial campaign goal. A total community effort! Amy spoke about the Empire State Poverty Reduction Initiative (ESPRI). Eighteen months ago, Governor Cuomo chose sixteen localities across New York State to receive funds to help reduce poverty. 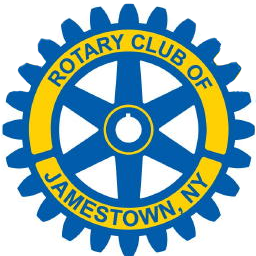 The City of Jamestown was one of the sixteen localities to receive the $1,000,000 grant. Mayor Sam Teresi then chose the United Way of Southern Chautauqua County to lead this initiative in the community. The United Way of Southern Chautauqua County pulled together a task force of community stakeholders. A series of exploratory meetings were planned to look at data and employment numbers in the county. As part of the meetings, a common needs assessment was initiated to gather data. The needs assessment also focused on listening sessions with people who were in poverty. After the series of meetings and data collection, workforce development was chosen as the primary goal. Specifically, the reduce the number of ALICE (Asset Limited Income Constrained Employed) households. Organizations who received funding are The Resource Center, Chautauqua Adult Day Services, Jamestown Community College, Jamestown Public Schools, YWCA of Jamestown, Mental Health Association, and Community Helping Hands. Initially, nineteen organizations went through the 5 separate workshops that were offered by the United Way. These workshops increased capacity for non-profits in terms of data and metrics. Not all received funding, but collaboration started to happen before funding was even determined. A collateral result is an increased level of collaboration among our local non-profit sector. Another piece that is critical is innovation. Local employers are really looking for something that is different than what has been offered in the past. Soft skills are very important to succeeding in a job. Helping people connect to supports is key because they have no other way to access them. In a nutshell, it really is relationship-based workforce development. Working with employees to help them improve their soft and success skills to help them retain employment is key. To learn more, please visit http://www.uwayscc.org/empire-state-poverty-reduction.